Curriculum Vitae shortly known as CV is the first step of getting a Job. Every job seekers should try to submit an effective Curriculum Vitae for the job. There are many Curriculum Vitae samples, templates etc available on the internet. You can download any of them. Today I will show you some tips for writing an extraordinary Curriculum Vitae and give you a curriculum vitae examples. A good curriculum vitae should contain precise information about personal history, educational and professional qualifications, achievements and experience. The proper CV should create a positive image, create an interest about you to invite you for a personal interview and should be distinguished from others. For the medical profession, a CV bears great importance. The purpose of the CV is to present yourself. A curriculum vitae should describe why you want the job and you should get the job. It’s important to keep your CV up to date and relevant information wherever necessary. You should focus on the post that you’re applying for. Emphasize more on the specific post and add some aspects of your experience or training over others. Your CV is a concise summary of your professional qualifications, achievements, and experience. It should speak for you. Make sure information you submit clearly communicates a sense of professionalism, competence, and enthusiasm. For a Medical Professionals, the typical CV writing is somehow different. For a new MBBS graduate like me, there are very few experiences and degrees to show. Our CV is our advertisement for the first job in the field of Medical profession. Recently I have helped one of a friend to write a CV or resume. She is going to complete her Internship. She wants to build up her career in Basic Medical Science. A medical resume is different than any other kind of professional resume. Length: It will depend upon your professional skills and experience. Every bit of information is necessary if that is relevant to the post, that you are applying for. But including inappropriate and unnecessary things should be avoided. One page CV or resume is enough for a starter. Generally accepted that a two-to-four page C.V. should communicate the essential background details for a young professional. Avoid long sentences and tough word that is hard to understand. Keep in mind that Simplicity is Best. This is not an examination rather a presentation. Format: There are many formats available. Choose any of them. It should be attractive and eye-catching. You can use simple plain format. You should common easy to read fonts. Do not use block words or italic formats inside the document. You can use bullets list. Print them in white paper. Keep a good width of margin on all side. Photos: A passport size photo should be added to the document. It can be placed on the left or right side depending on the design. The photo should be clear and contain your face in the center. It should not be Photoshopped to something beautiful. Spelling: A spelling mistake will create the wrong impression. So before you print your document double check the resume. Even before submission again checks the name, places, schools and other uncommon words. The name must be matched with your certificate name. Avoid grammatical mistakes. Use quality paper, ink, and equipment and avoid Photocopy of CV. To build up my career as a qualified Doctor and prove my potentiality in the academic field of Medical Profession and by applying my academic expertise and clinical skills to deal with Health-oriented problems through a progressive and dynamic working arena with the vision of a prospective future. This includes your achievement in different public exams. 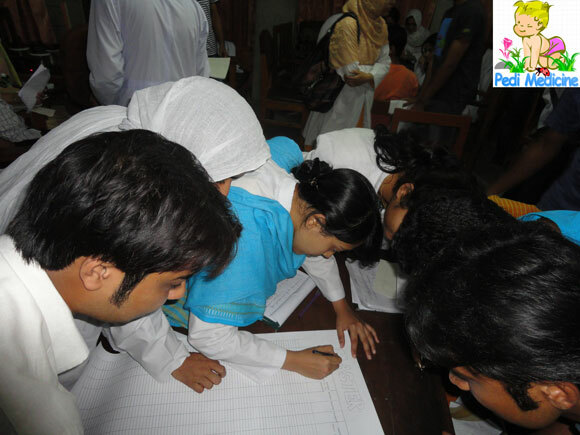 In Bangladesh, the public exams are SSC, HSC. The MBBS is the certificate for the medical profession. Educational Background – include your degree, year degree was received, complete name of the institution (no abbreviations) and its location. Add your full name, contact address, mobile number, email address, date of birth, nationality, marital status etc. I would also include the BMDC registration number. Bangladesh Medical and Dental Council is the organization of Bangladesh. You should include your Registration number as a Doctors. Also, you can add your National ID card number. If you have different present and permanent address you should mention that. This is one of the most important section. For an Experienced Physician or Surgeon, it is easy to add much information. But for an MBBS holder it’s quite tough. So what should you include here? You can add your experience as a Part-time medical officer in the various clinic. If you are now in a Job add this. Use the length of your job like from “starting date to till this date”. This means it is your current job and you want to migrate here. As a medical students you know better about health and health-related problems. If you have any publications in local or international magazines, newspaper you can add that. Extraordinary Achievements in your previous class can show you that you are meritorious from childhood. Add any scholarship information if you have any. References from your respective teachers should enough. Include the following information in each entry: name, position, address, and telephone number, and e-mail if possible. Your interest that should reflect your relationship with the Job you want. Academic arena of Basic Medical Sciences. Financial Secretary of Sandhani Rajshahi Medical College Unit. Organizing Secretary of Sandhani Rajshahi Medical College Unit. Performed Stage Drama as a Member of Association for Culture and Education. I have found many templates in Microsoft Word Processor. Open Microsoft Word> Go to New> Write “Resume” in the search Box and voila ! A lot of templates just in front of you. I have used Microsoft Word 2013. Information resources: For more information about how to write a medical cv see below. Ok that’s All. If you have completed your CV, share with us. Thanks.